Courtesy of NFL Fantasy, the Gridiron Start ‘Em, Sit ‘Em is your weekly guide to how real-life match-ups influence your fantasy football squads. Players like Antonio Brown, Todd Gurley, and Rob Gronkowski will never be featured in this article because they should be in your line-up every week, regardless of match-up. Instead, we’ll touch on some borderline fantasy start-sit decisions in this column. After barely squeaking out a win against the Broncos, the Browns passing offense is in a prime bounce-back spot against the Bengals. Cincinnati has allowed seven total QB1 (top-12) performances this year (tied for third-most) and the seventh-most passing yards per game on the road. Second meetings between in-division rivals are notoriously lower scoring, but Baker Mayfield ripped this same secondary for 258 yards and four scores on just 26 attempts just a month ago. Even on a day where Frank Gore (foot) was injured, Kenyan Drake managed just one carry in Week 15. Rookie Kalen Ballage, essentially straight off the bench, came in and handled 12 attempts and only played two fewer snaps (26) than Drake (28). Drake has seven TDs in his last eight games, but his target count (4 > 1 > 3) has evaporated over the last three weeks and he’s now losing snaps to a rookie who previously had just eight carries over the entire season. Drake should not be included in championship week roster decisions. Gordon is coming off one of his worst stat lines of the season, posting 1/19 receiving to the Steelers. Gordon is in a rough spot in Week 16, too, as the Bills have surrendered just five touchdowns and the second-fewest fantasy points to receivers who align out wide this season. Making matters worse, Gordon should see shadow coverage from stud CB Tre’Davious White, who has limited opposing wideouts to the 12th-fewest yards per coverage snap this season (per PFF). 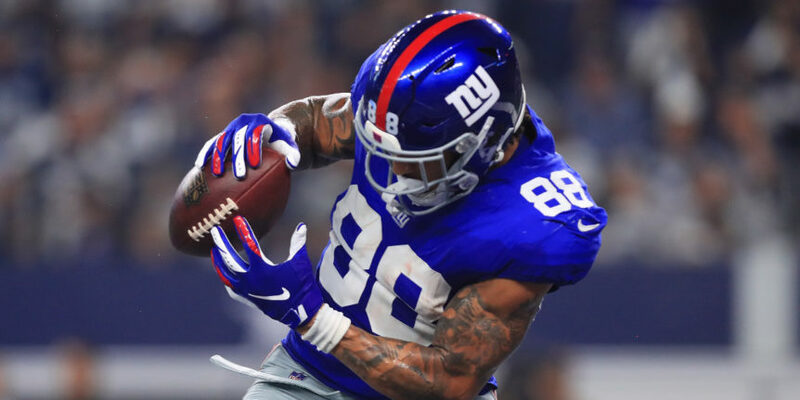 Trusting Engram in fantasy has been impossible all season long, but he’s now posted 75 or more yards in back-to-back games with Odell Beckham (quad) on the shelf. Unsurprisingly, Engram’s target share has sky-rocketed to 22 percent without Beckham over the last two weeks. Engram is a no-brainer TE1 start against a Colts side that is allowing a league-high 72.6 YPG to opposing tight ends.